Dak Lak (VNA) - Like other provinces in the Central Highlands, Dak Lak is currently in the middle of the peak dry season. 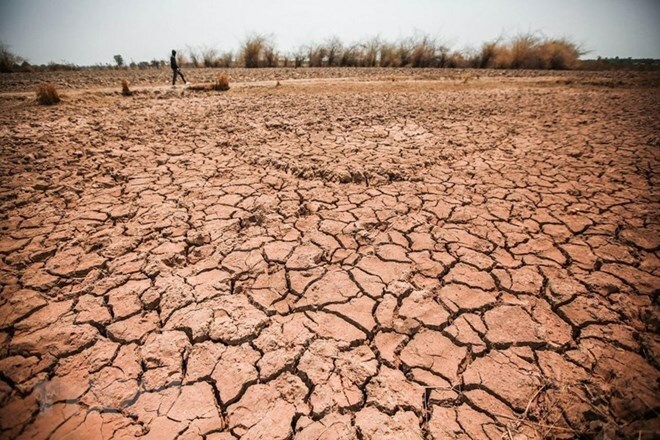 According to statistics from the provincial Department of Agriculture and Rural Development, drought has affected 300ha of crops in the province. Nguyen Minh Chau, who owns about a hectare of pepper trees in Ea H’leo’s district’s Ea H’leo commune said prolonged drought and a lack of irrigation have caused many trees to die. Although his family has spent nearly 100 million VND (4,310 USD) to hire people and machines to fetch more water, they had little success. Nguyen Hong Son, another resident, was in the same situation. He said about half of his pepper trees have died due to water shortage, adding his family has poured some 140 million VND into finding new sources of water and conserve what they do have. Phan Tien Dung, Vice Chairman of the People’s Committee of Ea H’leo district, said the water level in lakes and reservoirs was extremely low, and the chance of water shortages was high. Severe shortages of water have been reported in districts including Krong Pak, Ea Kar, Krong Bong, Krong Buk and Ea Hleo. The water level in the province’s reservoirs is only half of storage capacity.